1 – Gather your supplies. 2 – Blend the ingredients. Place the items in a blender or food processor and puree them until smooth. Make sure no chunks remain, or the treatment won’t be as effective for your hair. 3 – Wash your hair. Use a gentle shampoo that won’t strip your hair too much. Avoid shampoos made with sulfates, which are abrasive cleaning agents that cleanse hair of its natural oils and lead to dryness and breakage. 4 – Apply the conditioner. Use an old pastry brush or your fingers to spread the conditioner onto damp hair. Massage it in from the roots to the tips, focusing on the areas that tend to get the driest. – If you have very thick hair, separate it into sections and apply the treatment a section at a time, to make sure all of your hair gets covered. 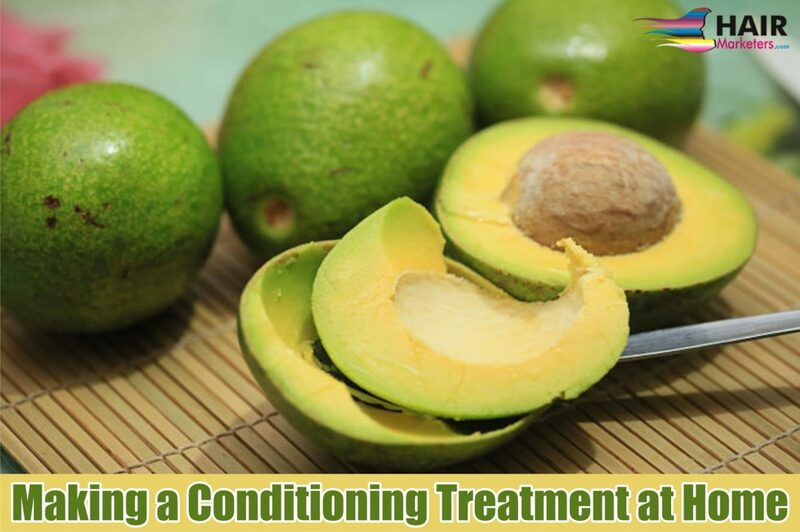 – If you have leftover deep conditioning treatment, you can store it in the refrigerator (or freezer) for later use. 5 – Allow the conditioner to soak in. You may want to cover the conditioner with a plastic shower cap. To speed the soaking in process, you can use a hair dryer on a low setting to heat the conditioner. 6 – Rinse out your hair. Remove the plastic cap and run your hair under cool water. Rinse a few times until the water runs clear and the conditioner is completely rinsed out. Gently towel dry your hair, then style it as usual. – Don’t use hot water when you rinse your hair, as it may cause an undesirable reaction with the egg or mayonnaise. – Wait a few days before shampooing your hair, so that you don’t negate the effects of the conditioning treatment by washing it out.